The continental term “Eurasia” has become ever more strange to us. It is rarely mentioned in news or schools and the term is itself becoming ever more ambiguous. Geographically speaking, Eurasia is a mega continental block, which is shared between continental Asia and Europe. Yet, there are no physical boundaries to separate Asia and Europe. Perhaps due to its given ambiguity in both geographical and historical sense, the article aims to use this particular example to discuss how differences have been drawn out to make Europe distinct from Asia. In doing so, such analysis can lack the nuances derived from treating the similarities and differences of the two continents equally and thus may propose some very interesting questions. One of the most cited differences between Asia and Europe is that the latter has experienced Renaissance between 14th – 17th century. Some suggest this phenomenon is unique to Europe. It led Europe into intellectualisation and secularisation which gave raise to capitalism and modern science. However, this claim ignored the interrelated nature of Eurasia at this point of history. For example, Europe benefitted significantly from the Chinese invention of paper. The invention fastened the process of academic discussions and the establishment of schools in the Renaissance period. Moreover, there was continuous trade between Asiatic cities and Europe since the Roman period, such as from the ports in Palmyra and Apamea. The trade also included imports from India and China, which made use of human labour such as artists and doctors. The Renaissance was influenced much by the imports of arts, knowledge and culture from the Eastern countries as much as by the scientific experimentation back home. Critically, Max Weber explained in his profound book “The Protestant Ethic and Spirit of Capitalism” how Europe reached capitalism development before other continents on Earth. The claim must be credited for its verstehen method which draws inference and observation from real life samples to examine an ideal model and theory. Simplistically, Weber suggests the rise of capitalism, industrial revolution, rationality and scientific development was due to the ethics of Protestantism in Europe. It is debatable whether this is the case given that the rise of capitalism reduced the numbers of the Protestant church. Also, it is clear that Weber mostly assumed the feelings of anxiety he claimed were spread among the Protestants of Europe, especially with his analysis’ lack of ethnographic evidence. And when Weber assessed the mercantile and commercial activities in Asian towns, they were dismissed as being insignificant. On the contrary, historical scripts have shown that in Sung and Qing dynasty of China, the bureaucratic officials had actively engaged in financial and commercial affairs during both their time in office and in retirement. This emphasis on Europe’s capitalist development by Weber should make one wonder what were the similarities or differences in the Asian towns’ commercial affairs which later turned out to be different from Europe’s history. Perhaps, the distinctive difference between the Europe and Asia is more nuanced than what has been suggested, after all. However, what Needham assumed was that China is a timeless civilisation and it was largely untouched by capitalism in the past, even though Needham saw inexplicable evidence of the commercial and financial affairs that took place in Chinese towns. He further assumed that capitalism and modern science development appeared mutually. One does not occur without another. Thus, for China, a modern scientific revolution did not happen. This, however, is of course oversimplifying the situation. Jack Goody in his book called ‘Theft of History’ suggests that the Chinese agricultural system was already successful in feeding its population. Therefore, a scientific development would be redundant for this matter. The more interesting question would be if scientific revolution was really sought in the Antiquity of China and what were the developments in response. The answer has been explored and it certainly will complicate history, which adds nuances in our understanding of the differences between Europe and Asian civilisations such as China. Another risk for exaggerating the differences between Europe and others is that we end up overly simplifying our understanding of ourselves. For example, sociologist Norbert Elias claimed in his influential book “The Civilising Process” that rationality, emotional restraint and control were the key ideas which changed sociality after the Medieval - Feudal period. However, his argument denies that rationality and emotional management exist in a much ‘simpler society’, which was reflected in his fieldwork in Ghana. In fact, Evans-Pritchard’s ethnography on the Azande in South Sudan suggests that rationality and emotional restraints appear in situations such as witchcraft. The Azande, of course, do not believe that witches actually exist but witchcraft does. It is used to explain the coincidences and unexplainable events. For example, one of the events mentioned in Pritchard’s writings is that of a person walking into the stumble on the floor, despite being very careful and having already spotted the stump on the floor. Azande appreciate rationality and causation, especially when something goes wrong, they look for other reasons such as taboos, moral rules and sorcery. Only when someone has been careful and followed lessons from trial and errors, but still ended up in failure, the causation is contributed to witchcraft. As Evans-Pritchard said this is ‘rational appreciation of nature’. Thus, rationality or emotional restraints can exist in many forms and ways. 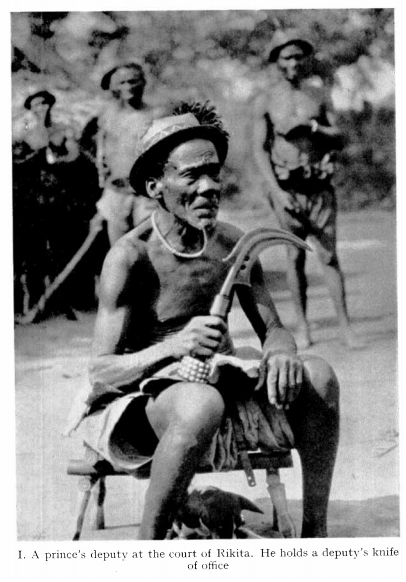 The study of other cultures such as Azande in Africa shows there is much similarity between us and them. The similarity, in return, demonstrates a more nuance understanding of ourselves and of our situations. Conclusively, Eurasia is a continental space shared closely between Asia and Europe, yet a historical social construct suggests Asia and Europe to be different and two separate continents. Though much of the differences between the two continents are valid, there are also similarities between the two continents which should not be ignored. The same is true with cultures in Africa and Europe. The comparative study between countries of either Eurasia or other continents adds nuances to our understanding of history and pose a variety of interesting questions. We should aim to treat all cultures as having the same value and when differences between societies get exaggerated, we may be at risk of accepting a skewed version of history. (1) Joseph Needham (1969). The Grand Titration: Science and Society in East and West. Elias, N. (2000). The civilizing process : sociogenetic and psychogenetic investigations (Rev.ed ed.). (J. G. Eric Dunning, Ed.) Oxford : Blackwell. Evans-Pritchard, E. E. (1976). Witchcraft, oracles, and magic among the Azande . Oxford : Clarendon Press . Goody, J. (2006 ). The Theft of History . Cambridge : Cambridge University Press . Weber, M. (2003). The Protestant Ethic and Spirit of Capitalism . New York : Dover Publication.